If the water in your home is not of the best quality, you may notice that several issues arise when using the water. 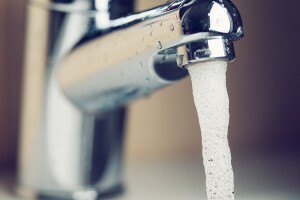 For instance, if you are noticing that your skin feels dry, your hair appears dull, or that there are cloudy water stains on your dishes after they’ve been washed, it’s possible your home has hard water. Or, if you notice that your drinking water has an odor or appears cloudy, it’s possible that it contains contaminants. But, without knowing what is causing your water issues, you cannot know how to treat them. Some homeowners opt to purchase a water testing kit that allows them to test the quality of the water in their homes themselves. However, these kits can be difficult to use. If the results of the test are unclear, you may be left more confused about the quality of your water than you were before the test. Plus, while these kits may tell you what issues your water may have, they cannot tell you how to solve the problem. A RainSoft technician has the training, experience, and tools necessary to test your home’s water quality and alert you to any issues. Plus our in-home tests are complimentary. Our technicians will take the time to thoroughly explain their findings, and show you the difference between your home’s problem water and water that has been conditioned or filtered. Then, they can recommend an appropriate treatment plan that will provide your home with better water. To schedule your complimentary in-home water test, contact RainSoft today.